If you often have trouble knowing what to put with what when you are getting dressed, you are not alone. Many men have trouble knowing what works and what doesn’t, and as a result a lot of people end up wearing the same old thing day in, day out. There might not be anything wrong with that as such, but it is always helpful to know how to improve an outfit if need be. The truth is, accessories are often the best solution to these kinds of wardrobe malfunctions. Yet, it can be difficult even knowing which of these to go for, and which are best left ignored. 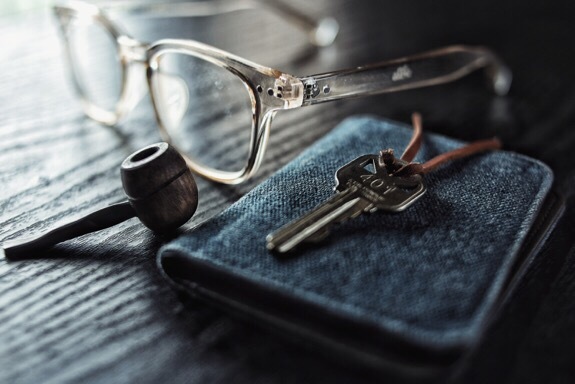 In this post, we are going to take a look at some of the essential accessories which any guy can benefit from. Let’s take a look now. The watch is becoming less and less popular as time goes on, it seems. Nowadays, more people are using their phones as a watch, and this has led to people laying down what was once a favoured accessory. But it is far from dead yet, and if anything recent years has seen something of a revival. Not to mention that if you do treat yourself to a brand new watch, you are likely to be making a statement which not many people will be able to ignore. If you want to buy a watch, but you are unsure of style, then it might be worth having a look at some wooden watches for men. Wooden watches tend to have a particular quality to them which just sets them apart really well. If you have never thought of your wallet as an accessory – then chances are, you are doing something wrong. The fact is, your wallet can easily be an accessory with the right attitude. If you have had your current wallet for a long time, both you and your wardrobe might benefit from investing in a new wallet. There are a huge number of styles, materials and colours to choose from, and with a little cleverness you can pretty much achieve any kind of look you might be going for. Wallets are surprisingly diverse once you look into it, so make sure yours is lining up with your overall style. If you frequently need to carry around large documents or other similar sized goods, then your answer might be a satchel bag. If you have not already got one, you might be pleasantly surprised at just how great and versatile these bags are. What’s more, they are more often than not incredibly stylish too. You can now get satchel bags in a huge variety of colours, and most of them tend to be highly adjustable on the strap. These do take a certain kind of look to pull off, but with a little luck you can easily find this suiting your wardrobe. What’s more, they are great for utility, as they can carry a surprising number of documents at one time. Next Post Get Yourself The Ultimate Multimedia Home With This Guide!